3-Fluorophenmetrazine (also known as 3F-Phenmetrazine, PAL-593, and 3-FPM) is a novel stimulant substance of the phenylmorpholine class. 3-FPM is a derivative of phenmetrazine, a once-popular stimulant substance that was clinically used as an anorectic in Europe in the 1950s. It produces its activity by increasing the levels of serotonin, dopamine, and norepinephrine in the brain. The synthesis and pharmacology of 3-FPM was first reported in a patent filed in 2011. Reports of human use first surfaced in early 2015 after it appeared for sale on the online research chemical market. User reports indicate that 3-FPM produces classical stimulant effects comparable to those of amphetamine. Common effects include stimulation, enhanced focus and motivation, thought acceleration, and euphoria. Many reports describe 3-FPM as having a relatively subtle and controlled stimulant effect which produces less nervousness, insomnia and euphoria than other stimulants, which makes it suitable as a study-aid or productivity-enhancer. Very little data exists about the pharmacological properties, metabolism, and toxicity of 3-FPM. 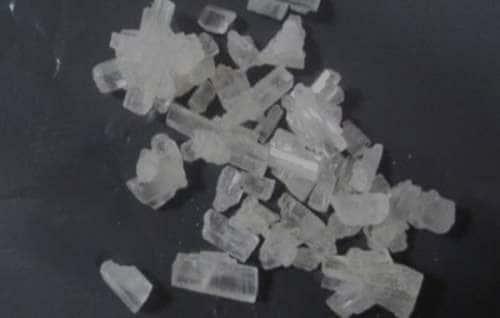 Due to the lack of information on its properties, it is highly advised to use harm reduction practices if using this substance. 3-FPM is a sympathomimetic drug which has classical stimulant effects when consumed. Its mechanism of action appears to function by acting as a releasing agent for dopamine and norepinephrine, increasing their concentrations in the synaptic clefts of neurons in the brain. This accumulation of neurotransmitters results in the experience of euphoric and stimulating effects. Its parent compound, phenmetrazine, was previously marketed as an appetite suppressant in the 60s and 70s but has since been withdrawn from the market due to concerns of abuse and addiction.